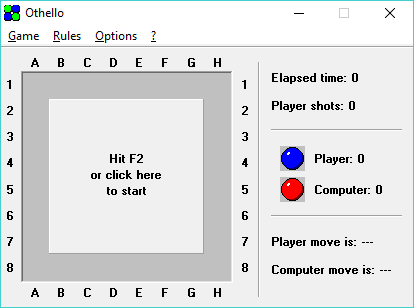 A simple, portable version of the classic board game Othello. The winner is the player who has more discs of his colour than his opponent at the end of the game. This will happen when neither of the two players has a legal move. Generally at this stage all 64 squares are occupied. 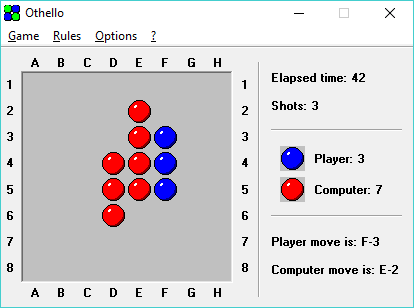 205 378 Giulio Ferrari <img src="https://www.oldergeeks.com/downloads/gallery/thumbs/othello2_th.png"border="0"> Jan 15, 2019 - 12:37 1.1 287.9KB ZIP , out of 3 Votes.